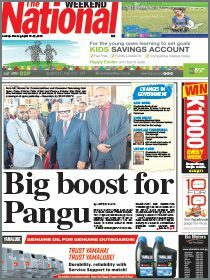 PRIME Minister Peter O’Neill aims to drive from his village in Ialibu, Southern Highlands, to Kikori, in Gulf, when the Highlands Highway opens in January. He told governors from the 22 provinces around the country who were meeting at Wabag, in Enga, on Friday that work on the highway connecting Southern Highlands to Gulf would begin in two months’ time. 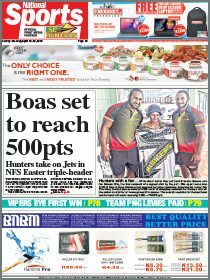 It will mean people can travel by road from the Highlands region to Gulf then onwards to Port Moresby – and vice versa. The governors during their meeting on Thursday had also raised their concern over the state of the Highlands Highway and the law and order issues in the provinces. O’Neill stressed the need for people to change their mindsets and improve their lives. “Our parents didn’t tell us life will be easy,” he said. “If you want to feed yourself, you have to work the land. Be constructive. “Don’t smoke marijuana, chew betel nut or go on Facebook and expect food to arrive at your home. Nothing is easy. O’Neill was in Wabag for the signing of the declaration of autonomy for Enga, and spoke highly of the province’s rapid development in the past six years. He said the signing of the decentralisation documents meant the transfer of more powers to the province. He said Enga had a “strong governor, and strong administration”.